Today’s the first official day of San Diego Comic-Con and Doctor Who was one of the first (and biggest) panels! Naturally, if you’re gonna go to Comic-Con, you’re gonna bring out the big guns, and that’s exactly what Chris Chibnall did at Doctor Who’s panel. Debuting new promo pictures, a look at the new Sonic Screwdriver, and even a brand-new trailer for the upcoming eleventh series, the Doctor Who Comic-Con panel was definitely a delight to behold and I’m gonna break it all down right here. 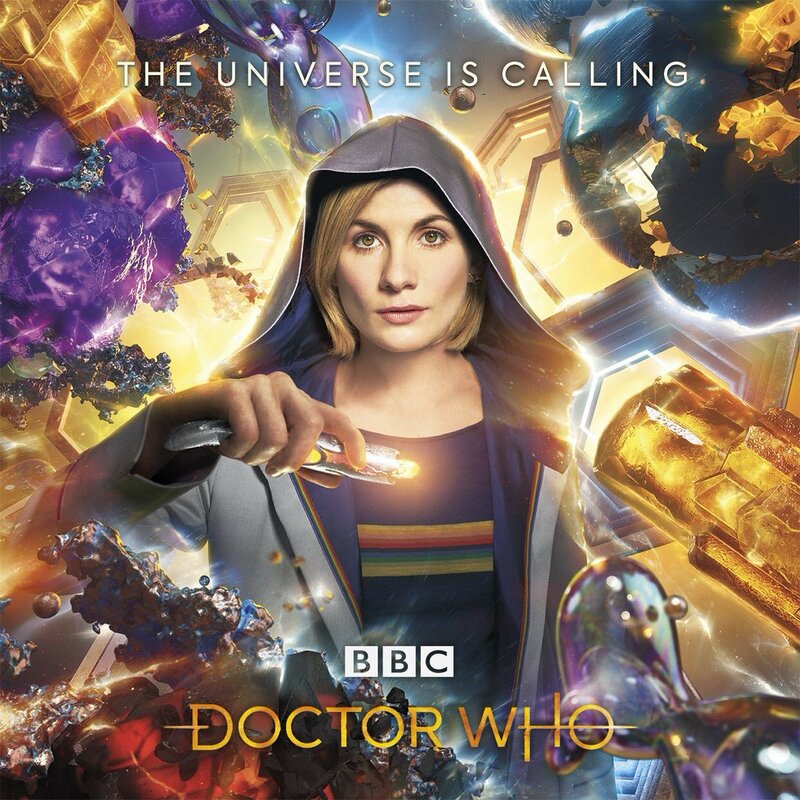 The eleventh series of Doctor Who is the first to be executive produced by new showrunner Chris Chibnall and the first to star Jodie Whittaker as the 13th Doctor. It has been filming since late last year and is expected to premiere this fall on BBC One and BBC America. It will continue the adventures of the Time Lord known as the Doctor as she meets new friends and takes them on exciting adventures throughout time and space! First up, we have our first real look at series 11 of Doctor Who. It may only be a forty-second trailer, but it definitely packs a punch. Unlike the trailer that aired during BBC One’s coverage of the World Cup final, this trailer actually features clips from the series itself. They’re all completely out of context and there’s very little dialogue present in any of them, but it’s all so much more exciting than that specially-shot teaser was. 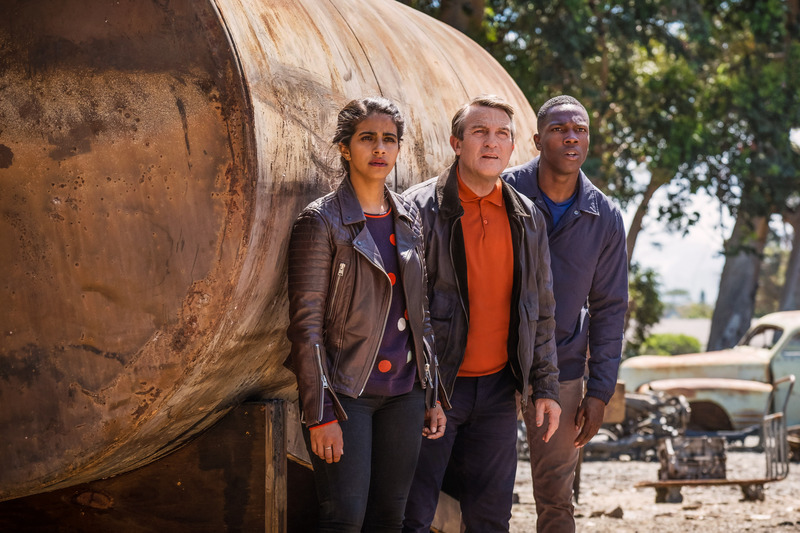 In this trailer, we actually see the Doctor, Yasmin (Mandip Gill), Ryan (Tosin Cole), and Graham (Bradley Walsh) interact with each other. We hear Jodie Whittaker deliver a monologue, in character, as the 13th Doctor while we see lots of short, exciting clips from the series. We see new worlds, new characters, new situations. It’s all very short but very exciting. This trailer works perfectly as a teaser; my interest is piqued and I desperately want to see more as soon as humanly possible. It’s really brilliant. 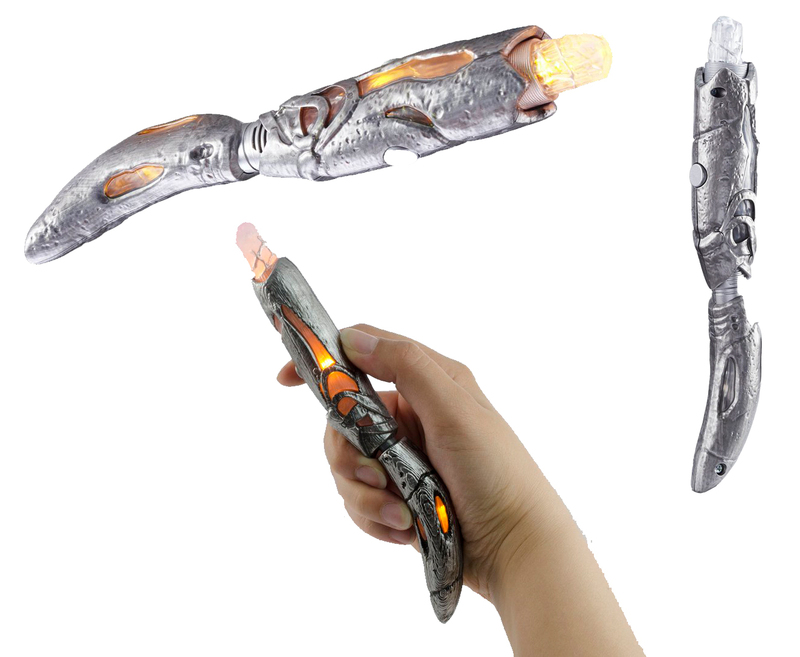 Next up, we have our first official look at the new sonic screwdriver. It’s definitely a departure from previous Sonics, but that doesn’t make it a bad thing. It looks really cool and really organic. It very much looks like something that might have been built by the Doctor herself, which aligns with something that was said by Chris Chibnall during the panel: “There’s a very specific way that the Doctor comes upon this sonic screwdriver.” At a guess, I’d bet that the Doctor actually made it herself, and that’s really cool. I love the idea of a Doctor that’s more of an inventor. I love the idea of her being able to make her own materials as needed and really being able to think herself out of any situation. That feels very Classic Doctor-ish. All those Doctors, especially the 3rd, were really good on their feet and could think their way out of any situation. The 3rd Doctor was very much an inventor in his run as the Scientific Officer of UNIT and I’d love it if the 13th Doctor was, similarly, very inventive. I love this design and I love the idea of her having made it. It’s all very exciting. 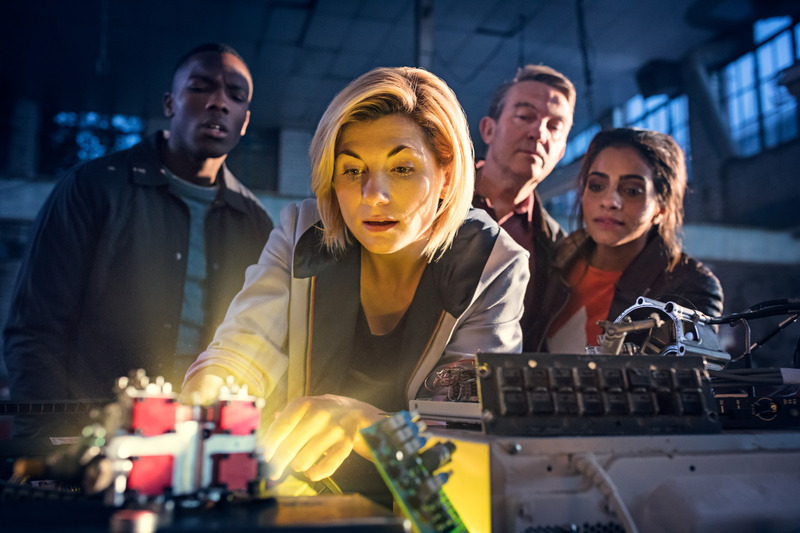 In other news, Digital Spy confirmed that series 11 would consist of ten stand-alone episodes, meaning there would be no two-parters this year. I don’t adore this idea, but I don’t hate it, either. The last time Doctor Who tried to do this was in series 7 and it was a bit of a mixed bag, mainly due to the fact that every episode ended up feeling rushed, as though it was trying to fit too much into too small of a period of time. Hopefully, that won’t be the case with series 11; it has several things going in its favor. 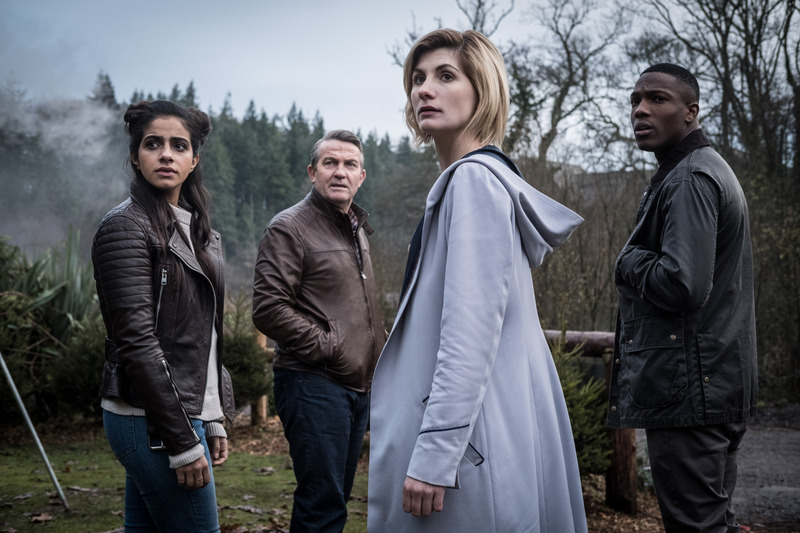 The runtime for each episode is 50 minutes (aside from episode 1 which is 65 minutes), up from the previous 42-45 minutes, which allows each story a bit more room to breathe; series 11 is being showrun by a totally different showrunner to series 7 and there’s every chance that Chibnall is able to execute this idea far better than Moffat was able to; and also Chibnall mentioned how the writing of this series was more of a “group effort” featuring a lot of new writers to the show working “in a very collaborative way” that was more of a “blend between ‘the British way of working and the American way'”. So that does sound promising. There’s no news as to whether the series will feature any kind of overarching storyline or villain, but I sincerely hope there is one. It doesn’t have to be super important until the finale; something like series 8 or any of the RTD series will be just fine. I, personally, just dislike genre shows where there is no overarching storyline and it’s just a collection of totally independent stand-alone stories. I disagree with the idea that seems to be being presented that casual audiences don’t like more serialized television; it seems serialized shows are more popular than ever, but maybe things are different in the UK. I’m not totally against this idea and it doesn’t really change how excited I am for the series, but I do sorta wish there was at least one two-parter. I love a good two-parter. Additionally, the Digital Spy article made mention of Chibnall’s approach to the series as a whole. Many have been concerned that he intended to do more of a hard reboot of the show than a soft reset, but it seems that reality is the exact opposite. He’s taken time to reassure everyone that series 11 isn’t just gonna ignore everything that’s come before it, it’s just more interested in looking forward than looking back. That’s a great approach to take. As much as I loved Peter Capaldi’s era, it was often too self-referential and that can be alienating for a more casual audience, so it’s a good idea for the focus of the show to be on the future rather than the past. That doesn’t mean the show’s gonna ignore everything that came before it and never reference any of it, just that it’s not gonna do it so often. That seems to be Chibnall’s desire, too. He likens series 11’s soft reset to the soft reset that happened between “The War Games” – the last story of the 2nd Doctor’s era – and “Spearhead From Space” – the first story in the 3rd Doctor’s era. The show changed pretty radically in terms of format (the Third Doctor was trapped on Earth for a while), but it was still very much Doctor Who and there were returning monsters and characters as well as new ones and plenty of new situations and that’s what Chibnall is going for. Something totally new that feels like an evolution of what’s come before, and that really excites me. As if that wasn’t enough, they essentially confirmed the existence of a Christmas special for this year, too. Previously, it hadn’t been announced and it was very uncertain if it would happen, and if it did whether it would be part of the previously announced 10 episodes or an additional one. Based on a comment made during the pre-panel press conference, it seems that there will be a Christmas special and it will be an additional eleventh episode. Chibnall mentioned they seemed “to be filming 11 episodes, and it’s only a series of 10,” while Matt Strevens, the other executive producer added, “I don’t know what happened. It’s a show about space and time, so it’s all quite abstract,” with Chibnall concluding, “I would definitely think there’s another episode after the end of the series, yeah.” So that would seem to settle that. There’s a lot we don’t know about series 11 of Doctor Who. We don’t know when it’s airing; only that it’s airing sometime in the fall. It appears that Titan Comics, publishers of the Doctor Who comics, have confirmed that their Thirteenth Doctor title will launch in October, implying that the series will have started airing by October. So that’s exciting. We know very little about the stories themselves or about the characters appearing in them (aside from the companions’ names and the general idea that most of them were looking for more from life until the Doctor appeared in their lives, but that’s very standard modern Doctor Who companion-fare and doesn’t tell us much). We know nothing about any of the new, or returning, monsters. We know very little in general, and that’s really exciting. I like that Chibnall has been playing his cards close to his chest, and I think he’s chosen the perfect things to reveal at Comic-Con: not too much but just enough that fans feel teased and excited and craving the new episodes. Today was a good day for Doctor Who.